Perfect for wet weather conditions this women's Wellington Boot is a shorter version of the iconic Hunter Original Tall Boot. Formed of natural rubber, each boot is handcrafted and assembled over three days before being vulcanised for superior protection. 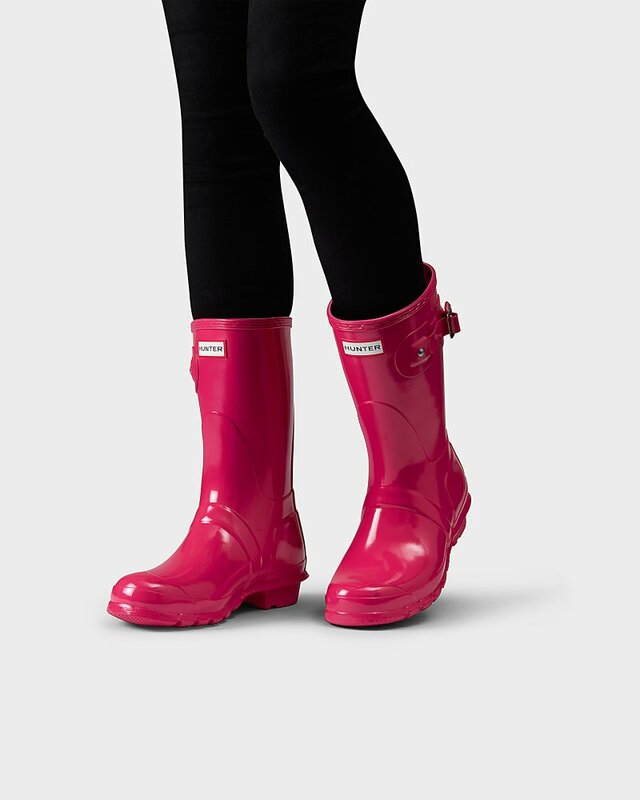 Featuring the Hunter Original tread pattern, and a comfortable polyester lining, this glossy, bright pink waterproof boot is a rainy-day necessity.